European Union (EU) leaders will tell Theresa May on Thursday she can have two months to organise an orderly Brexit but Britain could face a hugely disruptive ejection from the bloc next Friday if the prime minister fails to win backing from parliament. The pound was under pressure as investors saw risks of a no-deal Brexit rising on signs of impatience among the European Union leaders due to meet May for a 24-hour summit in Brussels. 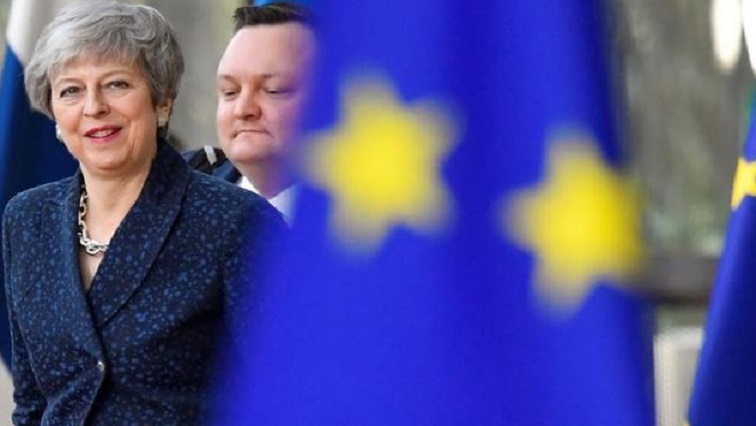 EU diplomats said her request for a delay until June 30 seemed likely to be met by an EU preference for Britain to have completed formalities and begin a status-quo transition to departure before Europeans elect a new parliament from 23 May. German Chancellor Angela Merkel’s repetition that she would “fight to the last minute” to avoid a no-deal Brexit, highlighted the sense of danger. May could have an extension, ideally to May, she said, but if she fails to secure backing for a deal in London, Europeans are prepared for the worst. The fate of one of Europe’s major economic powers rests on whether its lawmakers will next week reverse two heavy defeats for the Withdrawal Agreement May agreed with the EU in November. The Bank of England kept interest rates steady and said most businesses felt as ready as they could be for a no-deal Brexit that would likely hammer economic growth and jobs. “There are more non-options on the table than options … I sometimes have the feeling that we are in the waiting room, a bit like Waiting for Godot. But Godot never came so I hope this time they will come,” Luxembourg Prime Minister Xavier Bettel said in Brussels. If the deal is saved, EU leaders would probably sign off remotely on an extension of the deadline to mid-May, or perhaps the end of June, before the new EU parliament convenes. Diplomats said a meeting of national envoys indicated that most governments would prefer Britain out by mid-May or oblige it to hold its own European Parliament election on May 23. The small Northern Irish party, the DUP, that props up May’s minority government, was no closer to backing her deal on Thursday, its spokesman said. More than 700,000 people signed a petition on the British parliament’s website calling for May to revoke its divorce notice and stay in the EU. May’s spokesperson said she would not do that. The post EU summit readies for Brexit in May – or next week appeared first on SABC News – Breaking news, special reports, world, business, sport coverage of all South African current events. Africa's news leader..
NEXT POST Next post: LOOK: Escaped wallaby goes walkabout in Dallas!